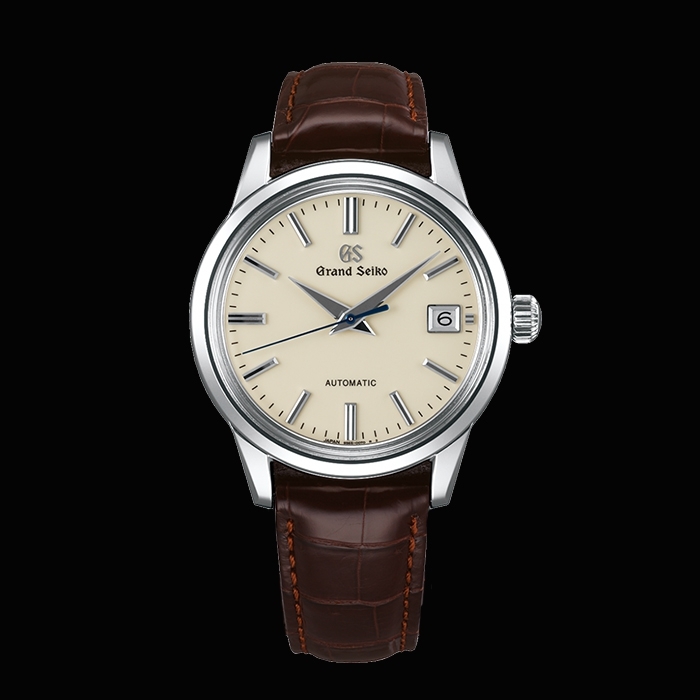 Grand Seiko | 4'500 € Tax inc. 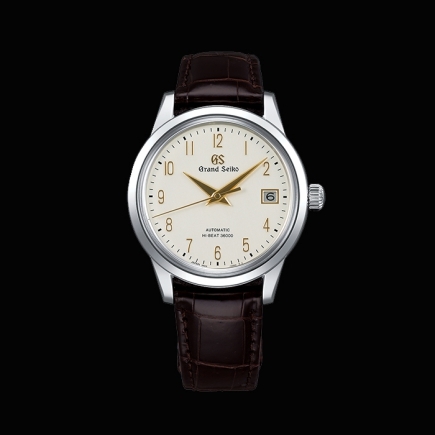 This watch expresses the classic style of models with mechanical Caliber 9S67 movements, preserving the design in every way while excluding the power reserve indicator and packing a Caliber 9S65 movement, instead. 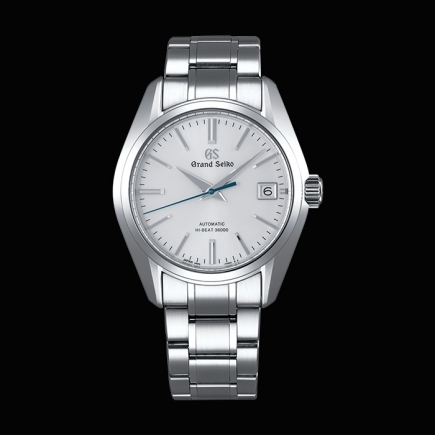 The watch has a 3-day power reserve and combines the latest in hairspring technology with an escapement developed through the MEMS technology to achieve high accuracy and stability when worn. 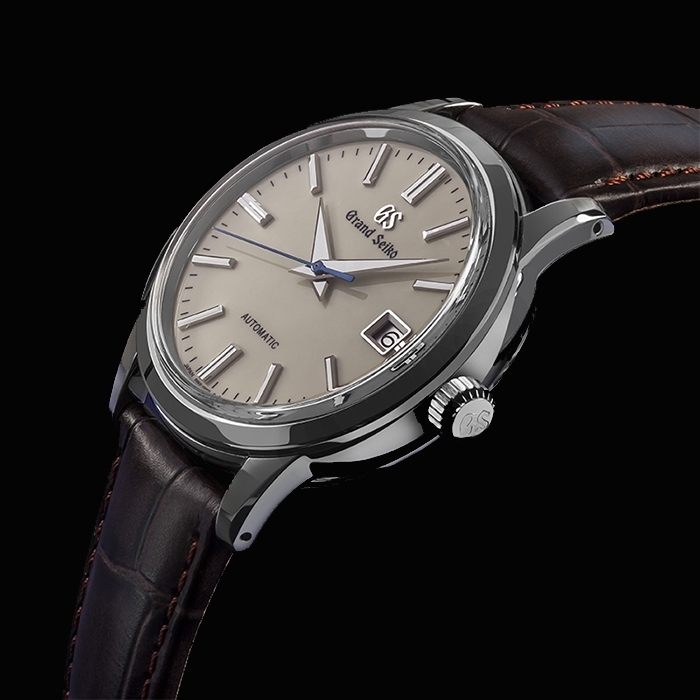 The design embodies a pure classical elegance with box-shaped sapphire crystal glass, Zaratsu polished lugs, a brown leather strap, and a blue steel 24-hour hand complementing a silver dial. 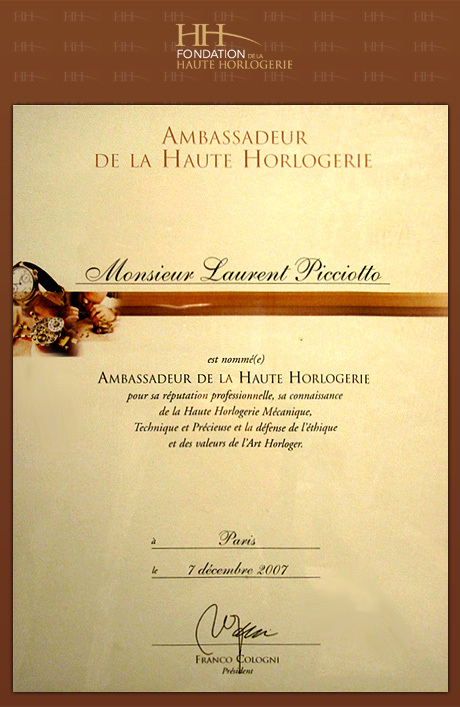 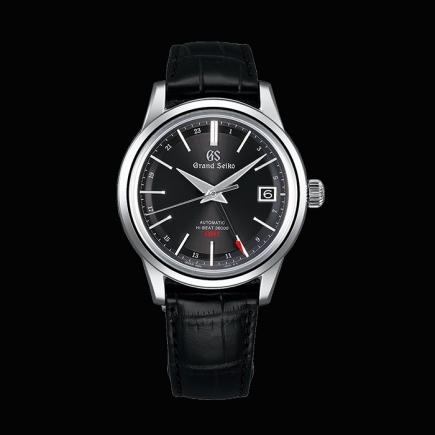 Caliber 9S65 is the most standard automatic movement that typifies the 9S mechanical series. 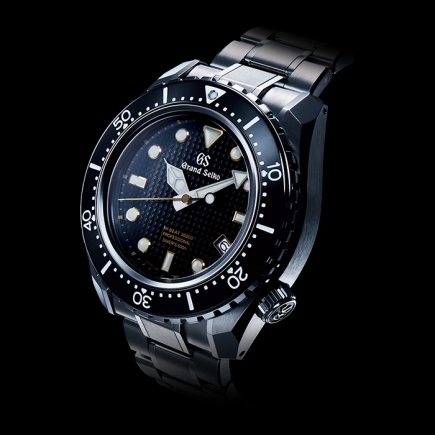 The old and new movements may appear to have a similar design, but they are utterly different in terms of performance. 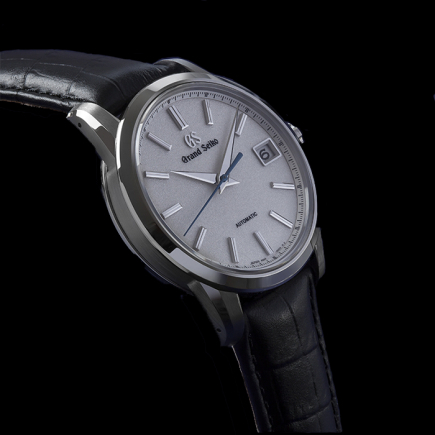 Grand Seiko has not only revised the materials used to make this movement, but also applied MEMS (Micro Electro Mechanical System) technology, which utilizes semi-conductor manufacturing technology, to the production of the watch parts. 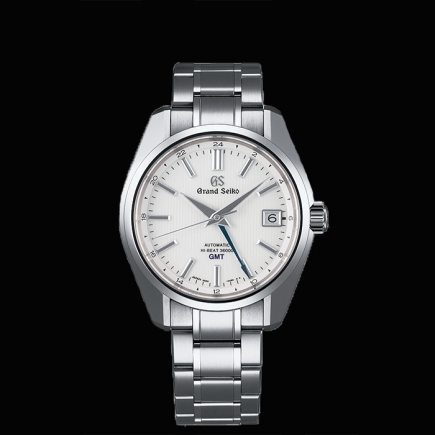 Grand Seiko has significantly enhanced the basic performance of this timepiece, and has also redesigned the way in which the oscillating weight winds the mainspring. 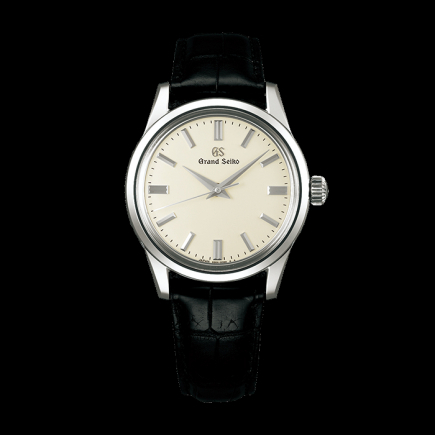 The winding system of its predecessor, Caliber 9S55, used Grand Seiko's Magic Lever mechanism. 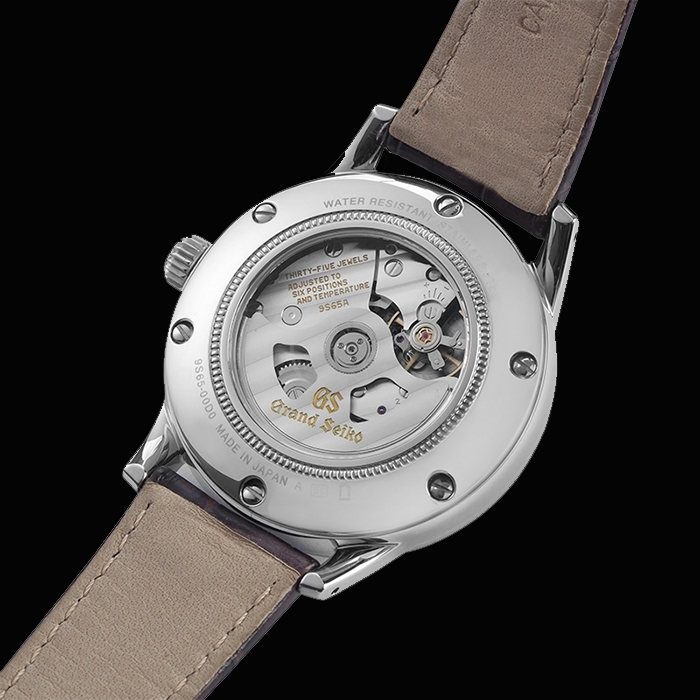 By contrast, Caliber 9S65 uses reverser gear train system. 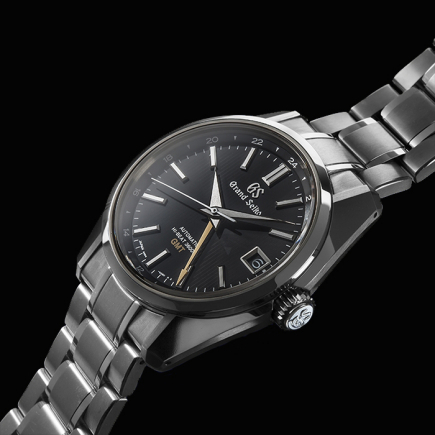 Hardening the components has helped improve the durability of the reverser system, which had been a weakness. 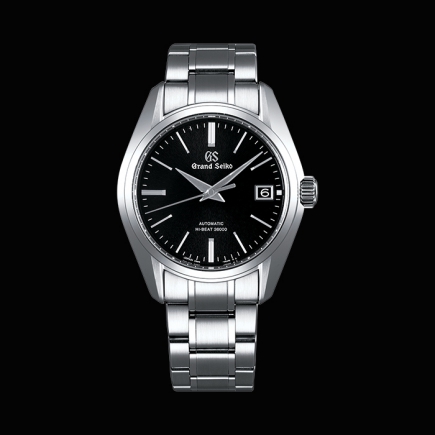 WHAT MAKES THE 9S MECHANICAL SPECIAL ? 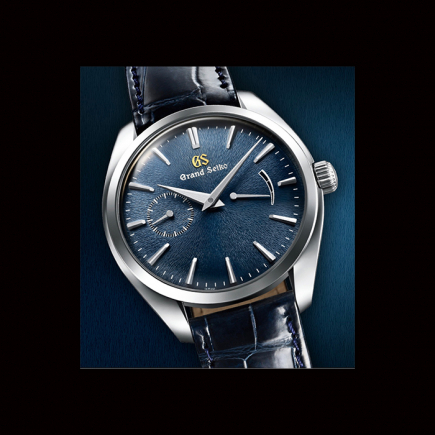 The concept of Grand Seiko was born from the desire to build the world's best watch, and the collection continues to push precision in mechanical watches to the limits of timekeeping technology. 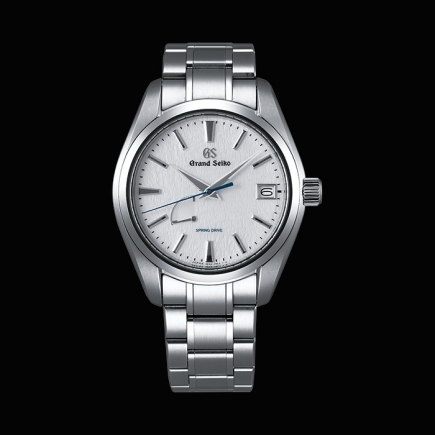 As a true manufacture, Grand Seiko incorporates the latest technology alongside its breadth of craftsmanship to raise the art of watchmaking to its peak.